Make your recording on Flipgrid. Download the Flipgrid app from self service. You will find the join code in Google Classroom Assignment #066. Goals: Read and track your thinking. Write at least a paragraph in response to what we read. Practice reading aloud with feeling. 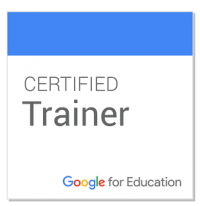 Open the #055 Starter in Google Classroom. When you finish, MARK AS DONE. Choose a passage from what we read today. Find a section of the book with dialogue and interior monologue or description. Read with feeling several times—to yourself and to a partner. Take turns reading with your partner until both of you can read without mistakes. Reading at an appropriate pace and volume. Modulating, or changing, your voice to show emotion or to emphasize specific parts. Open your copy of #058 Thought Log in Google Docs. Track your thinking from what we read today. Click HERE to see the “Track Your Thinking” prompts.